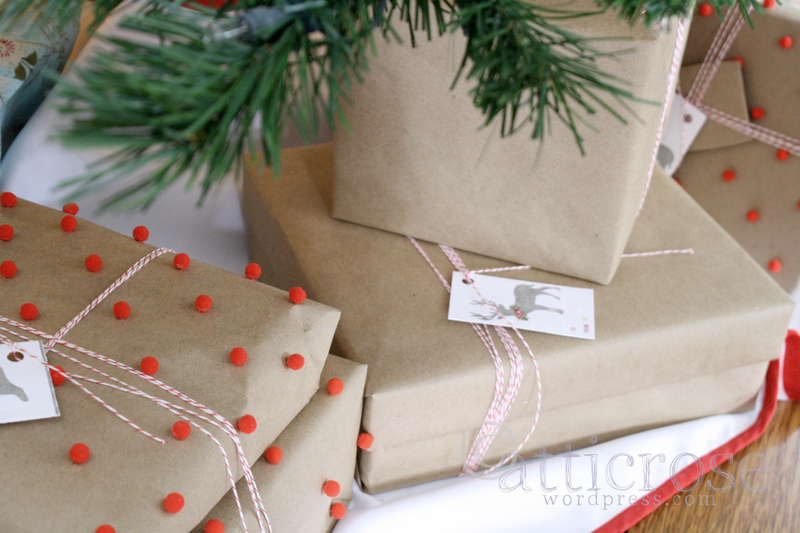 My favorite gift wrap is regular brown craft paper (found on rolls in the office supply section of Walmart). It is very versatile. It is a nice empty canvas for any type of gift. 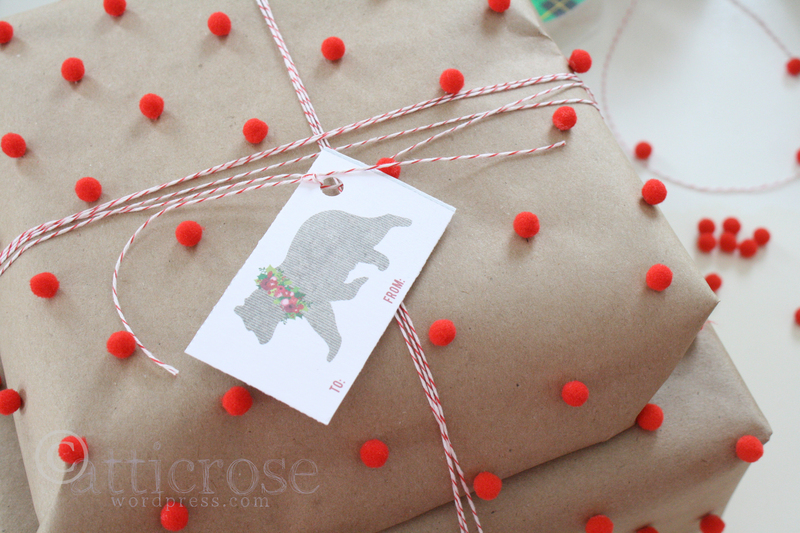 This year I wanted to make some pom pom gift wrap. I’ve seen it at Anthropologie, and positively love it. I think some year I will try the white gift wrap with pom poms, but I used what I had on hand this year. 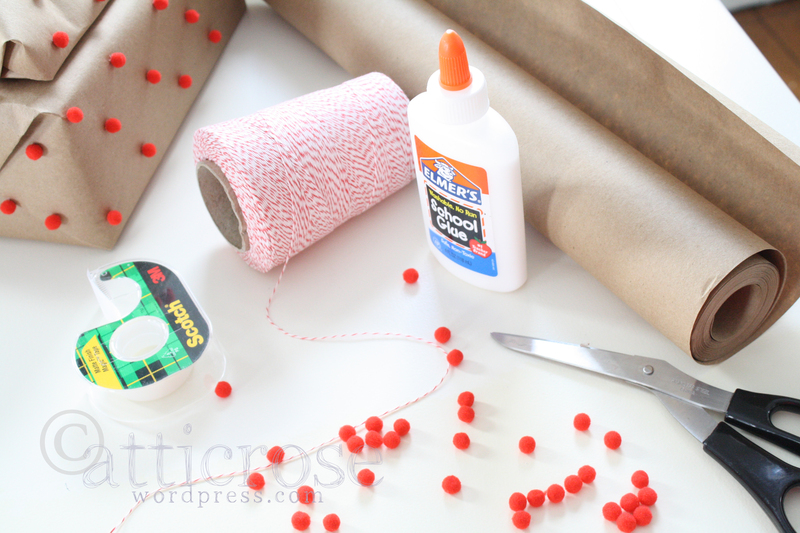 What you need: gift wrap, tape, Elmer’s school glue, a scissors, and pom poms (I found mine at Joanns). The first step is to wrap your gift. And the second step is to glue on the pom poms. That’s it! It takes a little time, but I didn’t feel like it was an overwhelming project. Here you can still see some of the glue because it is still wet. It becomes clear once it dries. 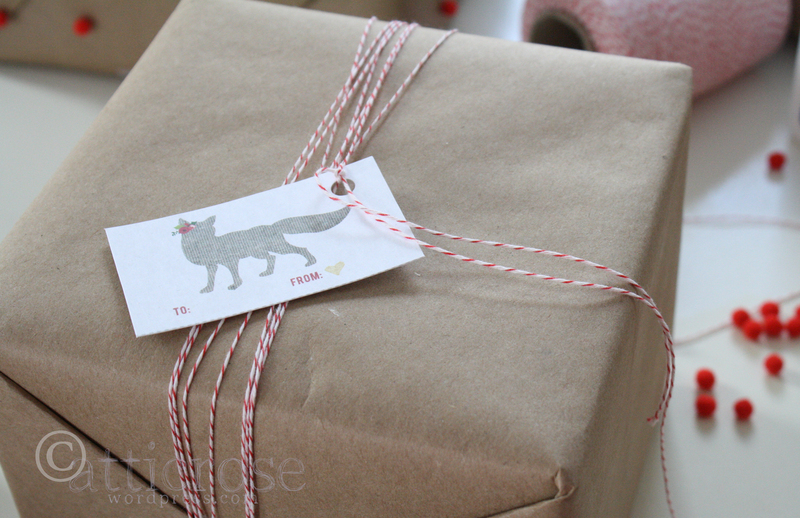 The cute gift tags are a free printable from here. We left a few gifts plain this year. 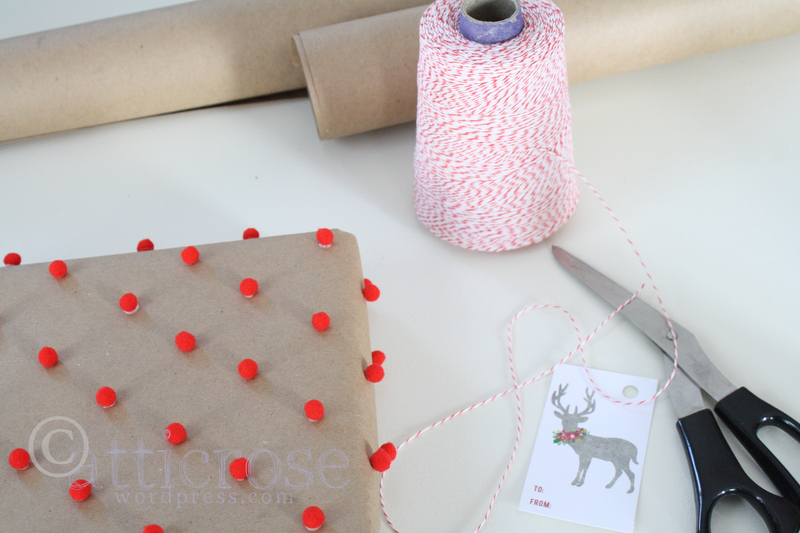 I just wrapped them with bakers twine (another thing I love) and added a cute tag. AHA! Now I know how you got the pompoms in such perfect rows! Brilliant.